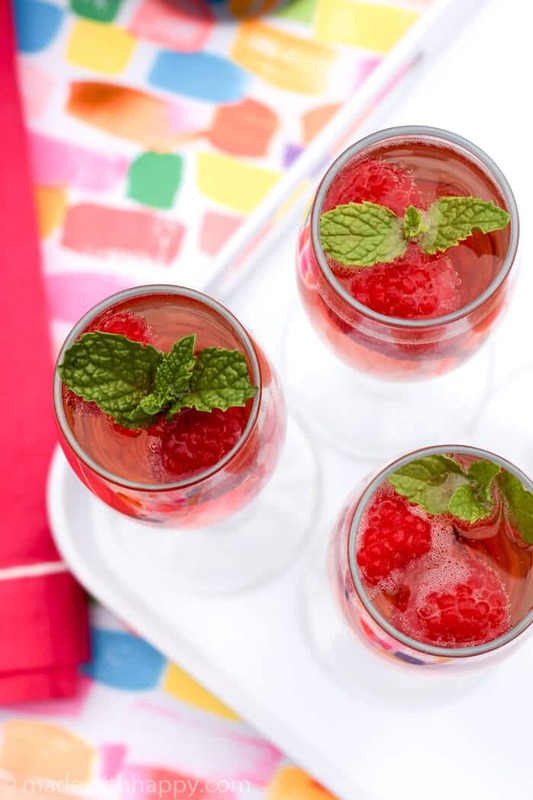 These Raspberry Processco Cocktails make the end of Summer days that much sweeter. Summer is not over my friends and as a matter f fact, we’re expecting 90 degree temperatures here on the west coast next week. Which means we are going to squeeze every ounce of Summer including sharing with you our go-to adult beverage of the Summer that is so refreshing, you may want it all year around. For those not familiar with Prosecco, it is a sparkling wine grown in the North-East Veneto region of Italy. 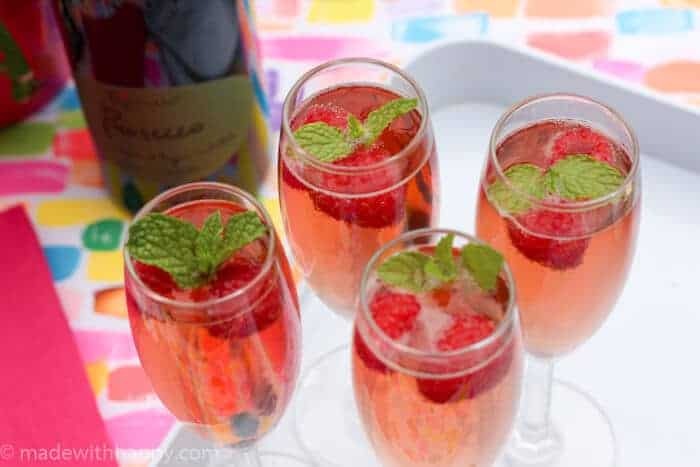 Its fruity and light and sometimes has a hint of sweetness. 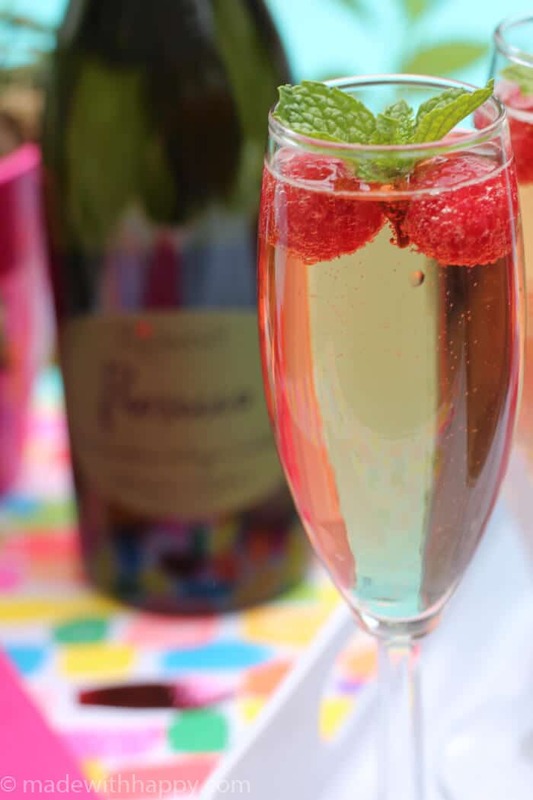 Unlike Champagne, what we love about Prosecco, and Riondo Prosecco in particular, is that it has a more every day accessibility rather than only on special occasions. All Summer we have been enjoying a bottle of Riondo with friends by the pool, at the beach, and at concerts in the park. It is delicious by itself or with some added awesomeness. 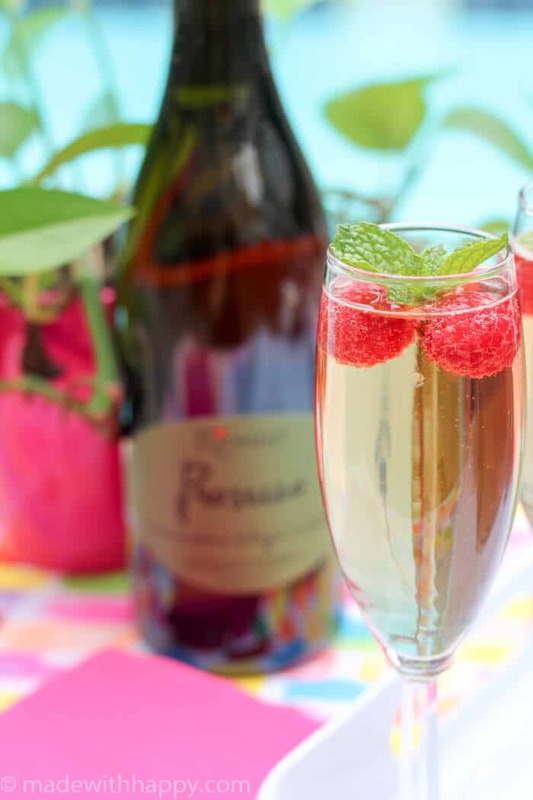 Riondo Prosecco Cocktails definitely makes Summer a bit more bubbly. If you are anything like us, we absolutely hate turning on the oven during the Summer. Most our meals were either cooked on the grill, or filled with fun cool salads. Many of our Summer dinners consisted of a glass of Prosecco and a charcuterie board filled with meats, cheeses, fruit and nuts. Its was our own Italian for Summer dish. We have a few different ways to make this Simple Summer Cocktail. Pour 1 ounce of Chambord in the bottom of your glass. 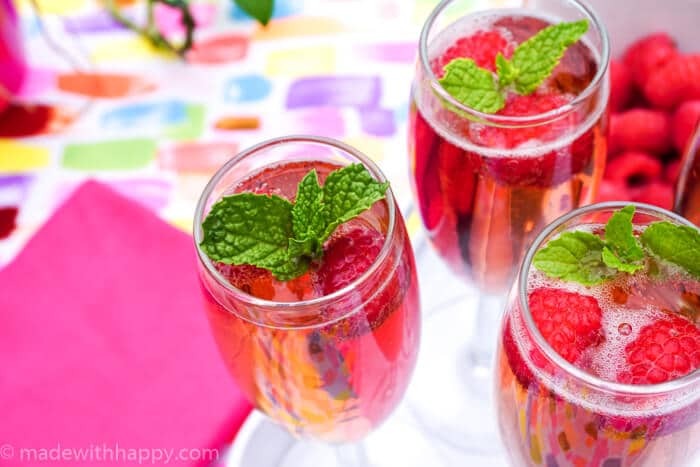 Slowly pour the Prosecco over the Chambord filling the glass. 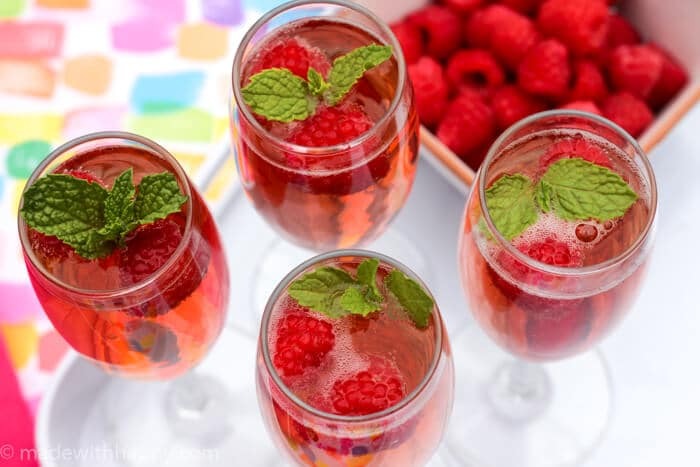 Add raspberries and mint for garnish. 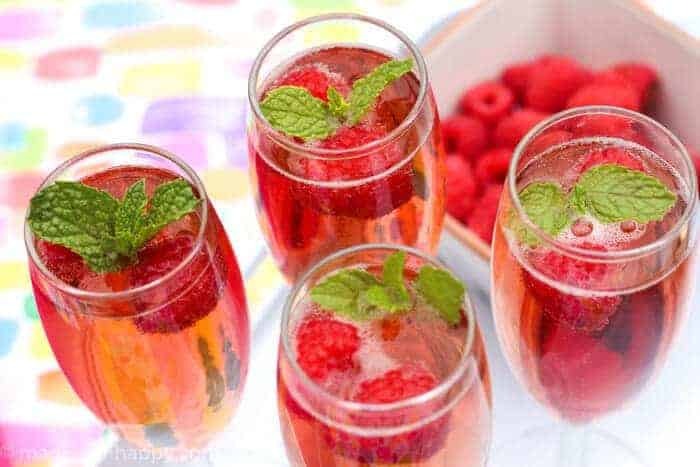 A fun alternative would be to add a teaspoon of simple syrup to the bottom of the glass with a pinch of mint and to muddle the two together. We sure hope you enjoy your Summer cocktails responsibly and that you draw out your Summer till the last moments possible, like us!